Opponents of President Obama’s recent action on immigration — and of any kind of legalization policy for undocumented workers — often argue that these initiatives are not fair to America’s legal immigrants. These people, it is said, played by the rules, followed the law, paid their taxes and are horrified to see people rewarded who did the opposite. I’m sure some legal immigrants feel this way, but not many. 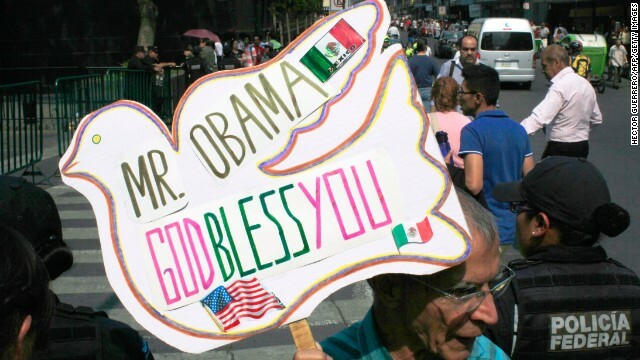 A poll released this weekshows that 89 percent of registered Hispanic voters approve of Obama’s action. Why is this? I can only speak for myself. As a legal immigrant, I don’t harbor any ill will toward those who came into this country illegally. To be clear, I don’t approve of breaking the law. I think the stream of border crossings should be slowed to a trickle, and I favor immigration reform that would secure the borders, substantially reduce the numbers who come in via “family unification,” substantially increase the quotas for skilled workers and allow a small guest worker program. My views on immigration are in the middle of the political spectrum. But I don’t view illegal immigrants with any hostility. Here at GPS, we love deep data dives. We also revel in the fact that America continues to be the melting pot that it has always been. So we were interested to see a piece on Slate.com last week analyzing the most common languages spoken in each state using U.S. census data. This first map is predictable – other than English, Spanish is the most spoken language in almost all U.S. states. But watch what happens when you remove Spanish from the equation. Now there is the melting pot. In Michigan, Arabic clocks in as the third most commonly spoken language. It's Vietnamese in four states – Texas, Oklahoma, Nebraska and Washington. It's a Filipino language called Tagalog in Hawaii, California, and Nevada. Editor’s note: Aníbal de Castro is ambassador of the Dominican Republic to the United States. This article is a response to an opinion piece from Amnesty International published earlier this week. The views expressed are his own. The Dominican Republic is taking proactive steps to tackle the complex issue of immigration by implementing a policy for registering both national and immigrant citizens, while protecting everyone’s fundamental rights. And the challenges the Dominican Republic is facing to adopt these policies are not much different than those confronting the United States and other nations. But, as lawmakers around the world have learned – there are no easy solutions. Last September, the Constitutional Court ruled that the government of the Dominican Republic was required to launch a proactive process to implement a fair and transparent immigration policy, one that respects each person’s contribution to Dominican society and gives clarity to an outdated system. This marks a historic moment in the country’s 170-year history, and will enhance the security and prosperity of the Dominican Republic and island of Hispaniola at large. Editor’s note: Martin Cetron MD is director of the Centers for Disease Control’s Division of Global Migration and Quarantine. Davide Mosca is director of the Migration Health Division, International Organization for Migration. The views expressed are their own. Today’s ease of travel means more people are on the move than ever before – more than 232 million people across the globe are considered migrants, playing an important role by filling jobs in sectors that face a shrinking national workforce. In the process, they frequently enrich societies with their skills, entrepreneurship, and cultural diversity. Unfortunately, many also originate from countries that have high rates of tuberculosis and fewer health resources. World TB day, being marked today, offers an important moment to take stock of where we stand – and why this is a problem not just for developing countries, but also for rich nations including the United States. 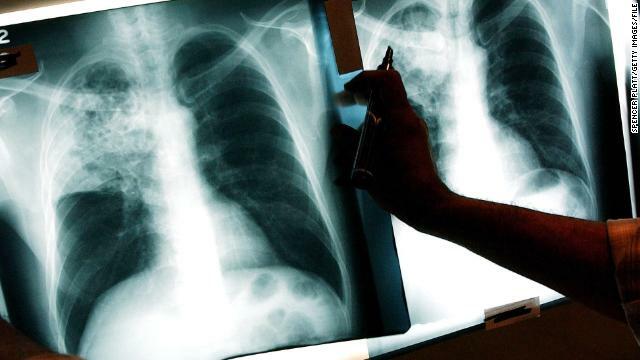 Of the nine million people around the world who get sick with tuberculosis each year, a third do not get treatment. It is this reality that forms the basis of this year’s theme – reaching the “three million,” through a TB test, treatment and ultimately a cure for all. The challenge, of course, is that many of the missing three million live in the world’s poorest, most vulnerable communities, nations that often don't have the resources to fight TB. These migrants frequently face high exposure to TB infection because of overcrowded and unhealthy living and working conditions in their home countries. As a result, tuberculosis rates are high among foreign-born groups in many industrialized countries, including here in the U.S. I have been described as a centrist. And I freely admit to believing that neither side of the political spectrum has a monopoly on wisdom or virtue. But sometimes, reality points firmly in one direction. Watching the machinations in Washington over the last two weeks, it is now impossible to talk about how both political parties are to blame for the country’s gridlock. Consider what just happened on immigration, an issue ripe for resolution. A majority of Americans support granting citizenship to illegal immigrants — by 81 percent in the most recent CNN poll — as well as enhanced border controls. The leadership of the Republican Party in Congress talked about a comprehensive reform package that would create a lengthy waiting time for citizenship — 13 years — and couple this with tougher enforcement. Most Democrats were willing to accept this compromise. But it became clear to the Republican leadership that even this would be unacceptable for many tea party Republicans. Can world prevent more Lampedusas? Editor’s note: Kevin Duffy is a Lieutenant Commander in the U.S. Coast Guard and a member of the Atlantic Council’s Young Atlanticist Working Group. The views expressed are his own and do not necessarily reflect those of the U.S. government. At the conclusion of a summit of European leaders earlier this month, European Commission President José Manuel Barroso called the plight of migrants crossing the Mediterranean an “urgent and complex situation.” He went on to say that the European Union planned to address that situation through a 50-million euro emergency fund, an effort to work with countries of origin in the Middle East and Africa in addressing the causes of migrant flows at their source, increased security patrols, and a comprehensive migrant resettlement policy. 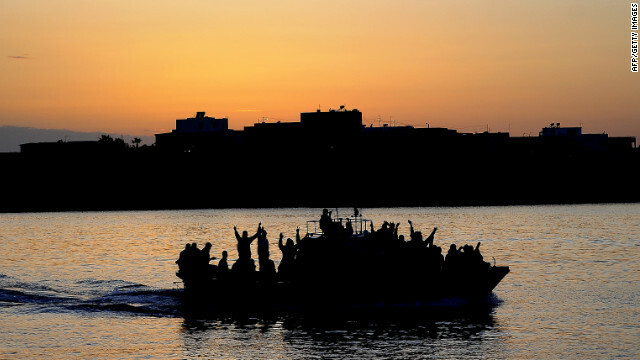 Europe’s policymakers appear now to be recognizing just how much the solution to the “urgent and complex” migrant situation will require a coordinated international effort, rather than reliance on individual countries to respond on their own. In explaining the urgent tone of his remarks, President Barroso directly referenced Lampedusa, a rocky outcrop that is much closer to North Africa than it is to mainland Italy. The waters around that island were the scene of repeated, massive maritime disasters and rescue efforts in October: on the third of that month, more than 350 people died in a single shipwreck, with 150 more being rescued; a week later, more than 30 people perished and over 200 were saved when their boat capsized; on October 17, a U.S. Navy ship picked up over 120 imperiled migrants; in a remarkable single night at the end of the month, Italian and Maltese boats saved 700 people from five separate vessels. 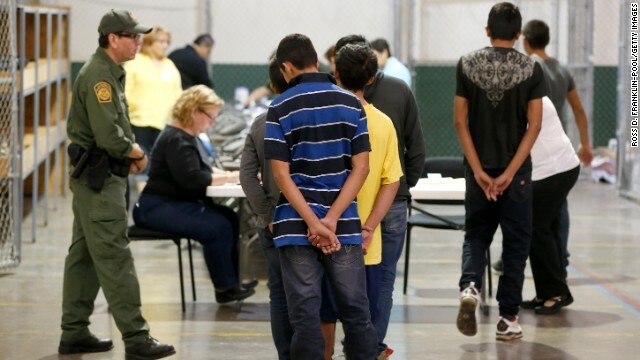 Editor’s note: Alice Farmer is a children’s rights researcher at Human Rights Watch who has done extensive research on unaccompanied migrant children around the world. The views expressed are her own. This week kicks off one of the busiest travel periods of the year. Millions will set out for Thanksgiving, a holiday that celebrates how refugees from religious persecution found freedom in a new land. I’ll be one of those traveling. And while I’m looking forward to seeing family and friends, I’m not looking forward to the hassle: long flights, cramped seats, and the difficulty of finding a taxi at 3 a.m.
Of course, I’ll be travelling legally, with the right paperwork. Most of us can't imagine how much harder it is to cross international borders if you can’t get your papers in order. Yet millions of people fleeing war and instability, or fearing persecution from their own government, don’t have the luxury of applying for passports and waiting for visas. Without paperwork, they can’t move through border crossings legally. 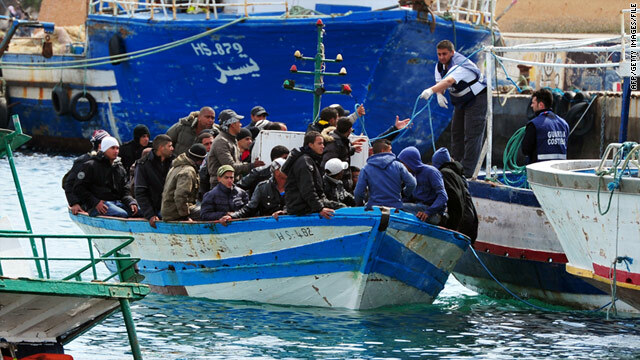 So they travel in other ways, often with no other choice but to resort to smugglers. But even as the debate intensified the past week as hundreds of conservative leaders converged on Washington to press for broad immigration reform, the issue looks like it might be about to take another twist as the sharp decline in the U.S. population of unauthorized immigrants that accompanied the 2007-2009 recession bottoms out. Indeed, the number may be rising again. As of March 2012, 11.7 million unauthorized immigrants were living in the United States, according to a preliminary Pew Research Center estimate based on U.S. government data. The estimated number of unauthorized immigrants had peaked at 12.2 million in 2007 and then fell to 11.3 million in 2009, breaking a rising trend that had held for decades. Now this trend may be reversing itself. The latest numbers show slow growth in the United States. That's bad for jobs, income – it's even bad for those worried about the deficit because it means lower tax revenues. And it has prompted a revival of the partisan debate about what to do about it. Well, there's one idea out there that could have support from both parties. A study out last week suggests there is one very simple way to increase tax revenue, expand GDP, and create jobs – all at the same time. 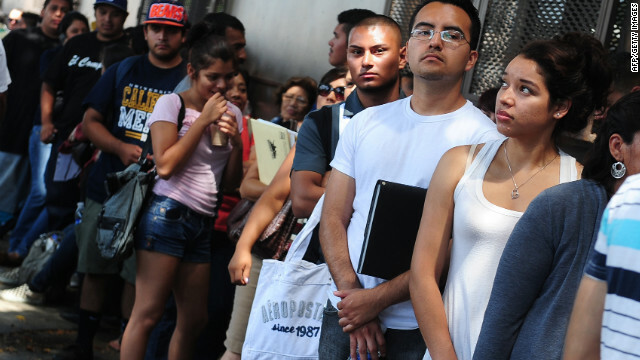 What's more, Congress is already weighing it: it's called immigration reform. How and why? Well, a new paper from the left-leaning Center for American Progress actually calculates the economic impact of immigration reform. Take a look. Topics: Immigration • United States • What in the World? For those Indians, Chinese and others with advanced degrees who have been waiting years for a U.S. employment-based visa, the prospect of American immigration reform this year may yet prove a siren call. The fact is that despite the political rhetoric emanating from Washington, and press reports of an immigration deal shaping up in the U.S. Senate, U.S. immigration reform is not a priority for many Americans – especially some in the Republican Party. “The time has come to pass comprehensive immigration reform,” said U.S. President Barack Obama in his State of the Union address in February. Many Republican Congressional leaders now see the need for liberalizing visa requirements, after once opposing such measures, as a self-preservation move for their party, which is losing ground among Hispanics and Asian Americans. Organized labor and the business community have apparently struck a deal on work permits. And the public would like to see change in principle. The trouble is there is just no consensus on the details, which are devilishly complicated. Editor’s note: Fabrizio Tassinari is Head of Foreign Policy Studies at the Danish Institute for International Studies. Mona Kanwal Sheikh is a post-doctoral researcher at the same institute. The views expressed are their own. 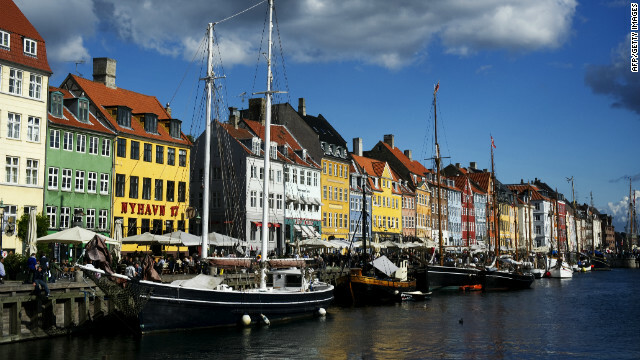 It may have escaped most people’s attention, but Denmark is in the midst of a clash of civilizations. And while it may not be an actual war, the perceived fight among some Danes is hardening the lines of conflict between Islam and the West. It all started a few weeks ago, with a failed attempt to kill one of the country’s staunchest critics of Islam, Lars Hedegaard. Despite the fact that there still is no trace of the gunman, and that the police have not yet established the motive behind the incident, politicians from across the political spectrum, including Prime Minister Helle Thorning-Schmidt, quickly framed the tragic attack as a possible blow against the principle of freedom of expression. Last Thursday, in a hastily arranged meeting at the country’s parliament, influential politicians and opinion makers echoed the view that free speech is under siege and needs to be defended.